Brilliant Joust 2018 exercise has just started at the Joint Force Training Centre (JFTC). In the days to come, Joint Force Command Brunssum (JFCBS) will exercise interaction with all components of NATO Response Force 2018 (NRF 18). 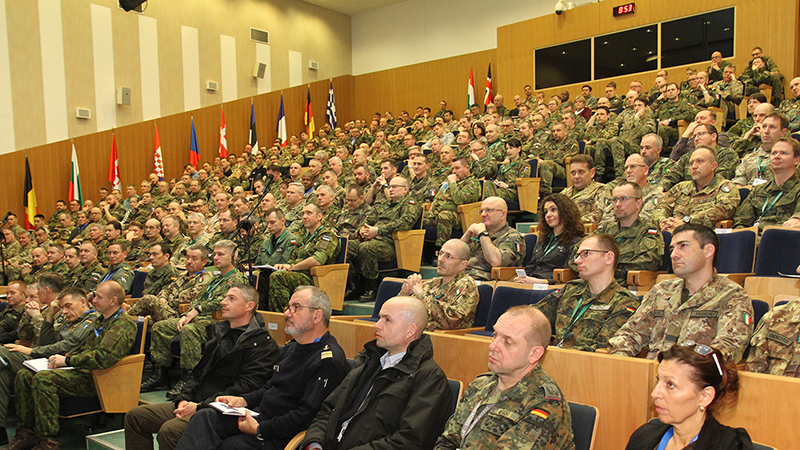 Close to 600 participants, both military and civilian, are now working together under the watchful eye of General Riccardo Marchiò, the JFCBS Commander, and Major General Wilhelm Grün, the Commander of JFTC. The exercise is additionally supported by up to 100 soldiers augmenting the event remotely from Brunssum. 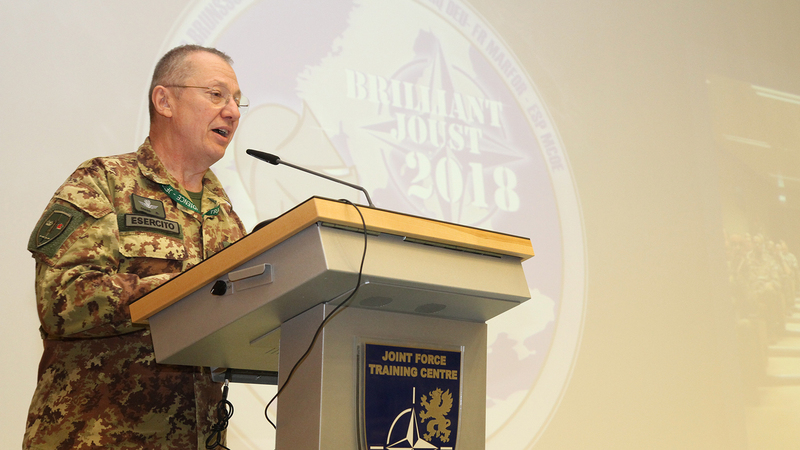 In his opening remarks General Grün emphasized that it was the second time JFTC supported JFC Brunssum in this type of exercise. He also encouraged the participants to take full advantage of the exercise, as it allows them to gain knowledge and better overview of the operational side. At the same time, Brilliant Joust 18 is not a certification exercise, which gives more flexibility in practicing interaction between JFC Brunssum and NRF 18 components. “For the next two weeks, we will stay in close cooperation with all of you, all 600 participants. Use the time spent in Bydgoszcz to the maximum extent” – said General Grün. 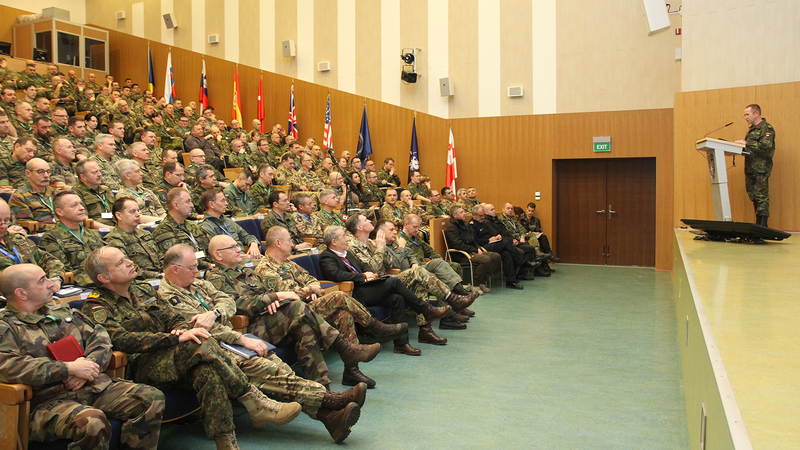 JFCBS Commander, General Riccardo Marchiò, thanked General Grün for his support and preparing the venue. “Brilliant Joust 2018 is one of the major events for JFC Brunssum this year because it enables our joint interaction with NRF components. As emphasized by SACEUR – our readiness is one of our first priorities, and this exercise will allow us to understand how we can better support each other in the best manner to be ready to execute NRF tasks when the need arises” - said the JFCBS Commander. 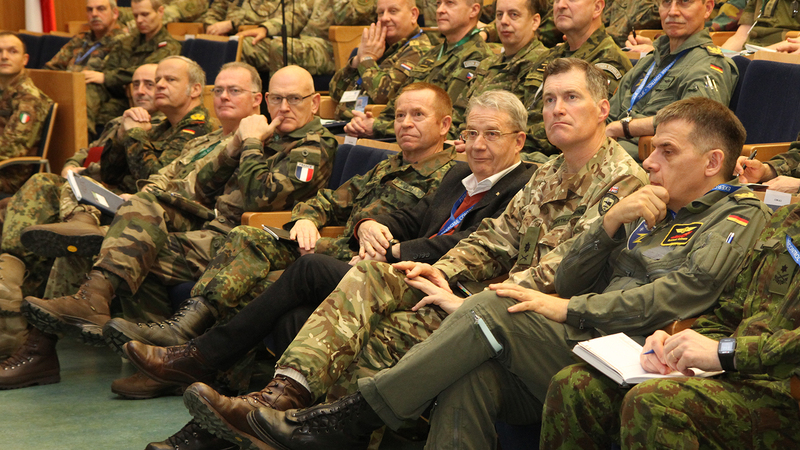 “The capability we have to increase our interaction within the joint environment is of paramount importance, continuity is the key and our values allow us to be Stronger Together” - General Marchiò added. The NATO Response Force continues to provide NATO's primary reaction capability in emerging crises, conflicts, or disasters. NRF was established in 2003 as a high readiness force comprising of air, land, maritime, and special forces units capable of rapid deployment. NRF is capable of performing a wide variety of tasks including immediate collective defence response capability, crisis management & peace support operations, and disaster relief including the protection of critical infrastructure. NATO's Allied Joint Force Command (JFC) Brunssum commands, supports, enables and facilitates the mission of combined, joint operations. As one of NATO's operational headquarters, its current primary mission is Resolute Support in Afghanistan with NATO Article 5 Operational Planning, Military Cooperation and NATO Response Force - among other major activities.